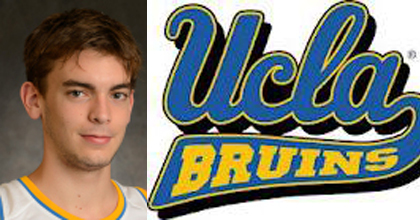 Adria Gasol will be a walk-on freshman with the UCLA Bruins. UCLA Bruins supporters shouldn’t be surprised if they start seeing their fan forums fill up with more Spanish readers. Why you might wonder. Well, a quick peek at UCLA’s roster for 2012-13 and looking at No. 50 answers that question right away. Yep, that’s Gasol as in Gasol. As in the younger brother of Pau and Marc Gasol. Adria, who turns 19 on October 5, has decided to walk on for head coach Ben Howland’s team. It’s unclear if Gasol has the talent to play much for the Bruins as a freshman. But he will benefit from practicing against four other 6-10 guys in Joshua Smith, David and Travis Wear and Sooren Derboghosian as well as 6-9 big man Tony Parker. Gasol spent two seasons playing sparingly as a freshman and sophomore at a high school in Memphis before returning to Spain. He missed the 2010 season with an injury and competed during the 2011 season in the Primera Catalana league. This past summer, he tried out for the Spanish U18 national team but failed to make the cut. Adria Gasol is said to be a major project though he has good size – listed at 6-10, 220 – not to mention a pretty good name and bloodlines. Adria apparently is really ready to study at UCLA. The Bruins’ website profile says he is “interested in a career in physics and medicine”. His major is not yet listed and there have also been reports that he is interested in studying engineering. The fact that Adria has arrived in Los Angeles should also be a good message to Lakers fans worrying Pau Gasol may leave Los Angeles. This family has a long history of sticking around together. When Pau was playing with the Memphis Grizzlies, Marc came to Tennessee and went to high school in Memphis. When Adria decided to attend high school and play basketball in the United States, he went to the same high school where Marc attended – Lausanne Collegiate High. Let the development of Adria Gasol begin in earnest – with plenty of Spaniards becoming UCLA fans.